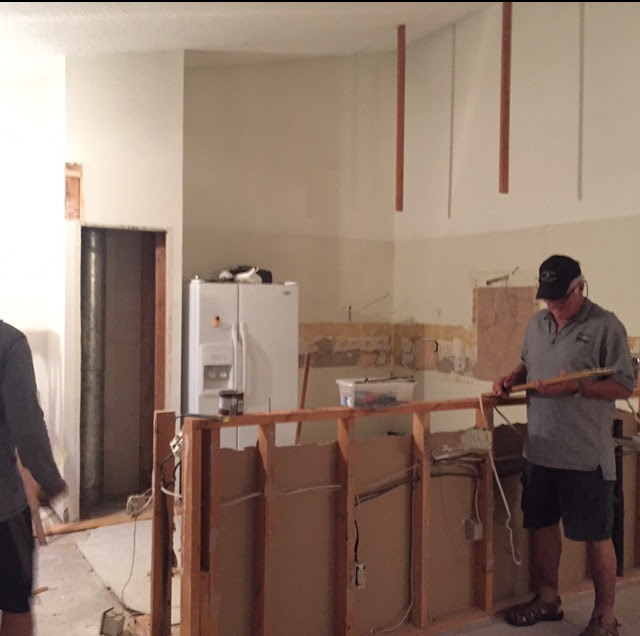 Two years ago my husband & I thought it would be a good idea to get married & buy a home & remodel a kitchen in the same month. It was one of the craziest, most exciting times of my life. Also, it was a little bit dumb. Anyhow, we found a beautiful house on the west side of Fort Collins. We’re minutes away from some of the best hiking in Colorado, and surrounded by the kindest neighbors in the world. (Florence, our 93-year-old next-door neighbor, brought us peaches the day we moved in). We love our home. However, our kitchen started as a proud display of every 1980’s design faux pas that existed, so we decided to remodel it. I hate myself for not taking a proper "before" photo to show folks. Just trust me though; it was bad, really really bad. We began with the floors. The house had blue carpet & I am a hardwood floor fanatic - I love hardwood. And I love our hardwood. 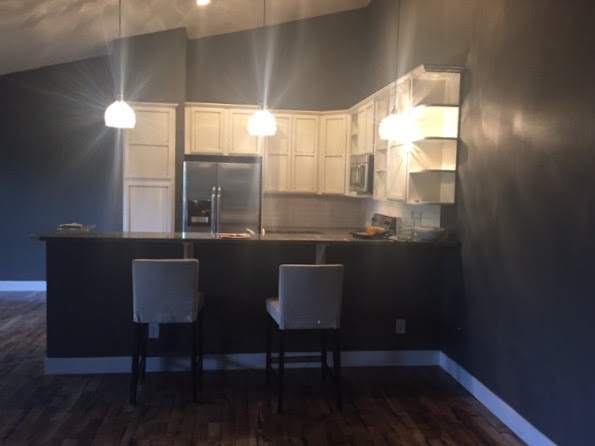 Our contractor used a method where you paint the entire wood floor with black paint, sand off the top layer and then add the finish. The paint seeps into the cracks of the floor, highlighting the beautiful texture to the wood. 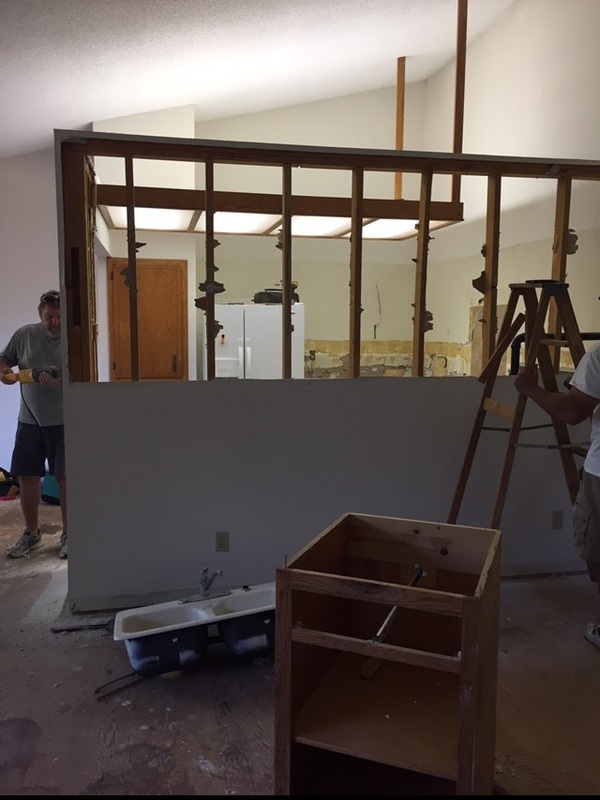 Then we cut down a wall, turning it into a bar to make the space feel more open & bright. And updated the cabinets & appliances. The finished product is dreamy. Sometimes I still stand back & fall in love with it all over again. There are still so many fun projects that I want to do in our little yellow house. Stay tuned for more updates. 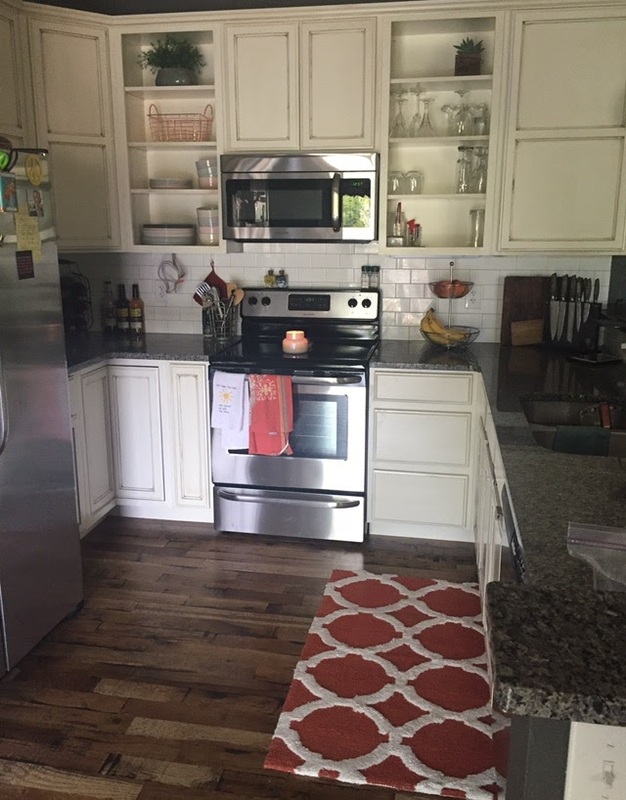 What are your kitchen remodel stories?